The George Lagos hotel is a 61-room luxury business hotel and a benchmark for luxury hospitality in Lagos, Nigeria. 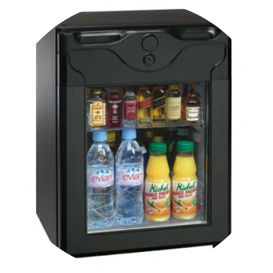 In 2015, Afro Exports installed VingCard Signature RFID locks, Elsafe Sentinel safes and Polarbar minibars when the hotel was being developed. 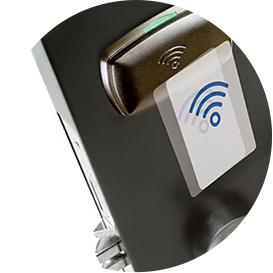 In 2017, we provided the hotel with a customised service designing printed RFID KeyCards for use in electronic locks. 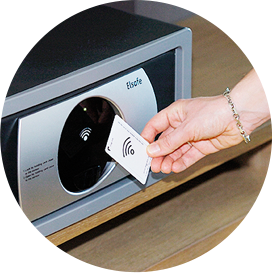 As a hotel guest’s first impression is important, The George Lagos hotel always uses quality printed RFID KeyCards to match the high-quality image and services of the hotel. An additional benefit of using these customised KeyCards is that they can be used as a platform for advertising other amenities and services available in the hotel such as the bar, restaurant or spa. We have shown an example of the KeyCard designed for The George hotel in this case study. We offer KeyCard designs free of charge. KeyCard designs vary considerably between hotels with all cards having a mix of all or some of the hotel’s logo, picture, contact details, instructions for use and sponsorship. As such, there is not a standard format of design, rather we work with you to develop a unique design for each keycard,as we did for The George hotel. The average consumption of KeyCards can be calculated at 1 KeyCard per occupied room week based on the number of rooms in the hotel and the average percentage occupancy per year.